Looking back over our photos of our recent holiday in Galicia and Asturias, I found it hard to pick just a few photos to share with you. So….even though I left most of them back on my PC, I still have plenty of beautiful sights to tell you about. 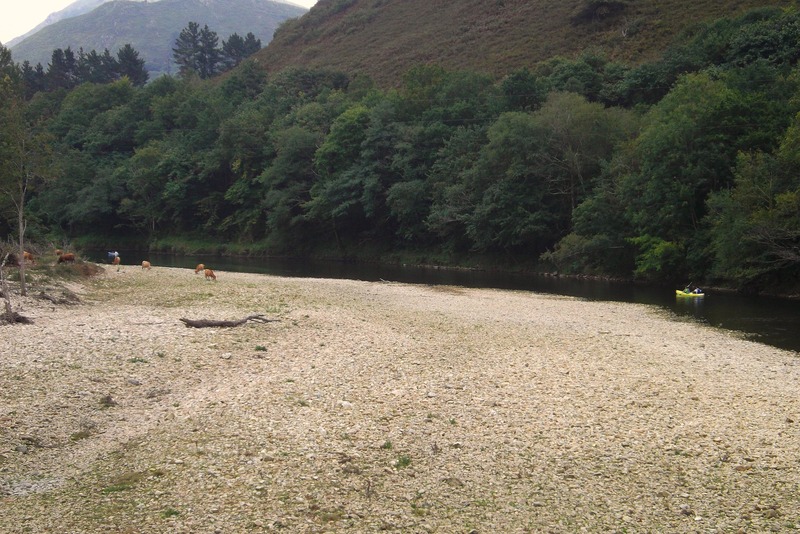 We drove the 400km or so from our hotel in Galicias to our base in Asturias over the course of a day. 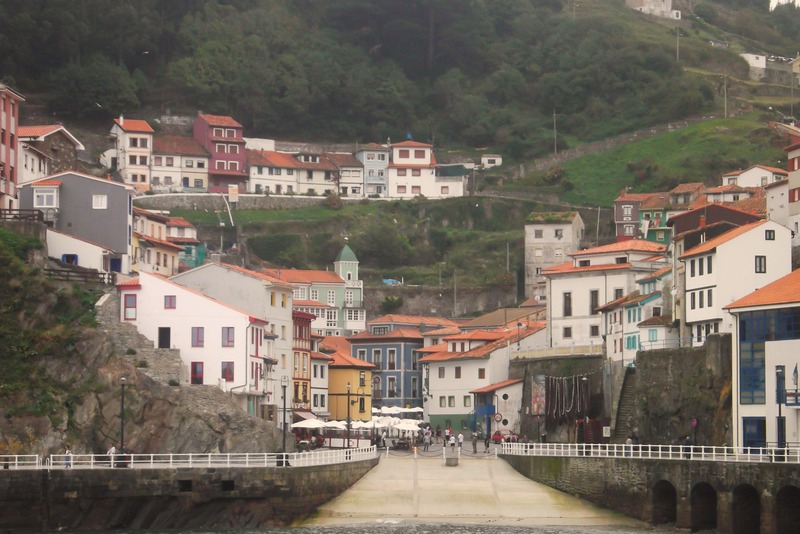 First we stopped in the beautiful seaside village of Cudillero for lunch where we ate our amazing Fabes con Almejas. The village houses appear to be built on top of each other, clinging onto the cliffs, and painted in beautiful colours. Our hotel ended up being a one bedroom apartment, which was great as we were there for 4 nights, right in the centre of a seaside town called Ribadesella (which translates as the bank of the River Sella). We had a fantastic view of an old Hermitage from our bedroom window. 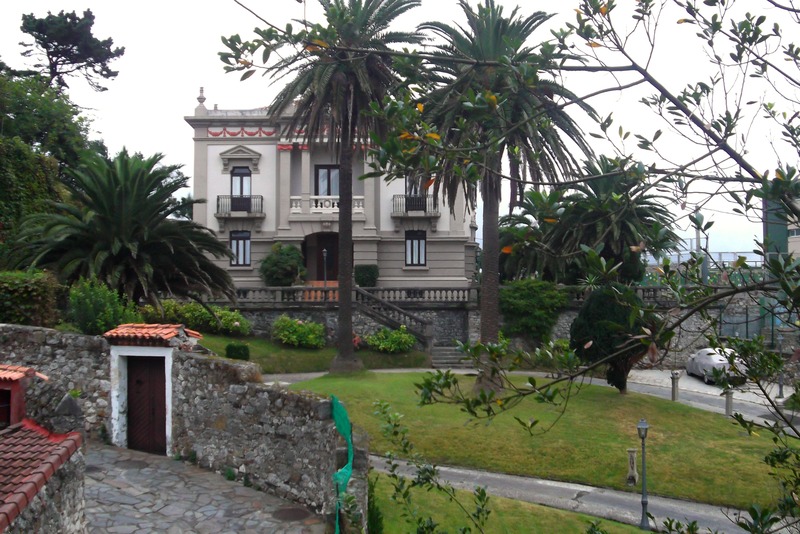 And to the right of it there was an amazing house, with the sea right behind it. The next day we put on our walking boots and packed a picnic to head up into the mountains. 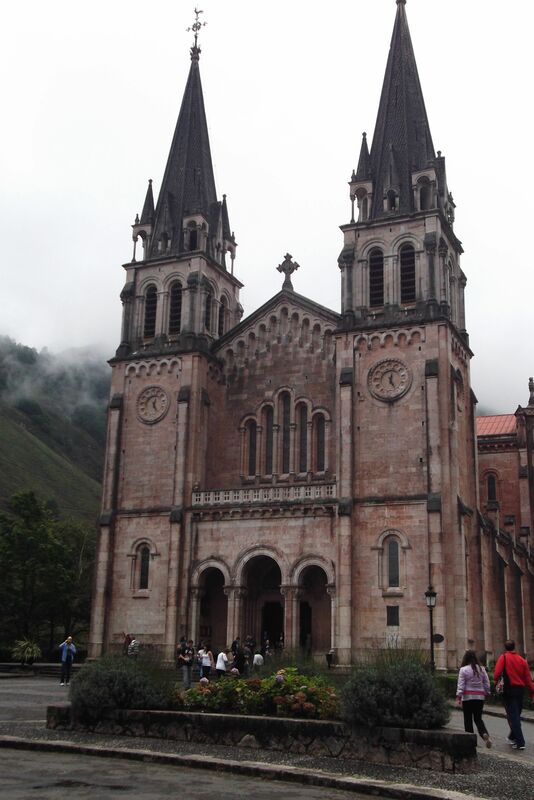 The weather didn´t bode well, but we pressed on to Covadonga to see the Basilica. The clouds started to get lower, all very beautiful and atmospheric, but not really what we had hoped for. We started the long, slow, drive up the twisting road to the lakes, and the fog came down. When we reached the lakes this is what we could see! 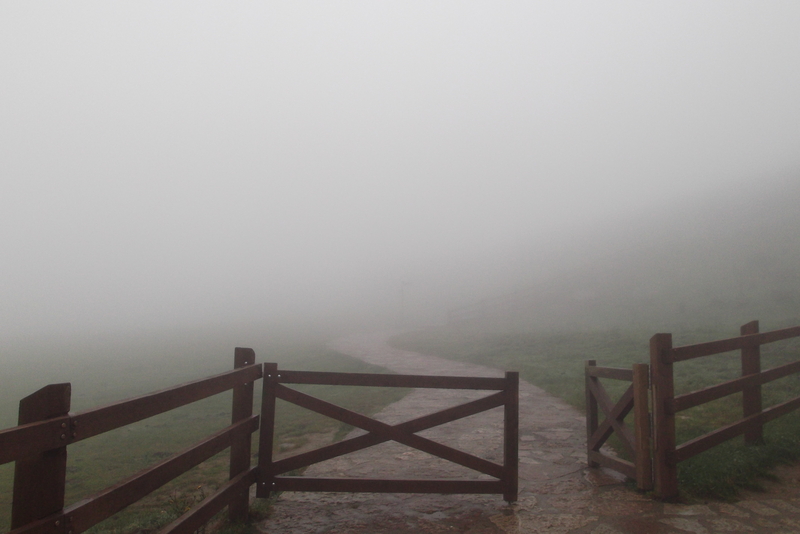 Walks were forbidden, there was no visibility so we made our way back down the mountain and through a village called Cangas de Onis where there is a Roman bridge. Because of the weather, it seemed everyone else had had the same idea and we couldn´t park, so we took a quick photo from the car window instead. Finally we turned off the main road to find a perfect picnic spot from where we chomped away on our Empanadas and Bollos Preñaos, looked at the cows and watched the kayakers. Back at our hotel, we were determined to take at least a little walk as we were still all dressed up in our proper boots, so we took a stroll on our little beach, battling with the wind as we went on our way. Finally, a hot shower and a walk into the centre of Ribadesella. 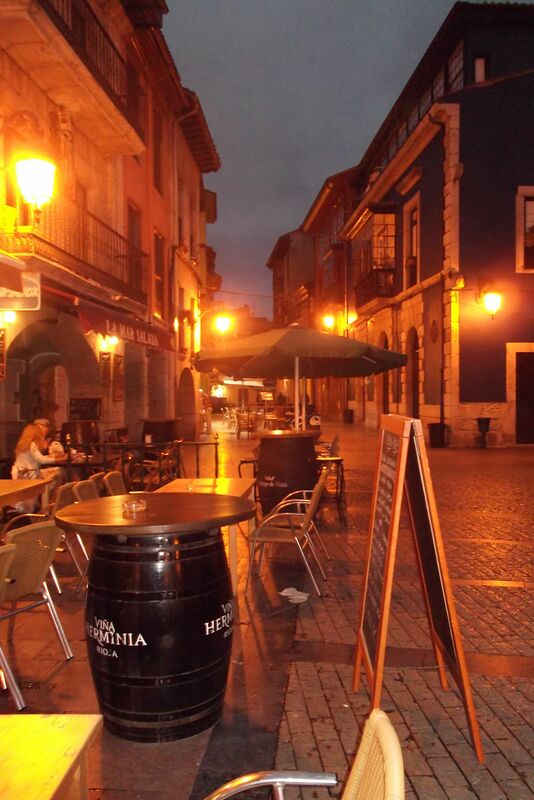 Followed by a well deserved drink and dinner at Casa Juanito in the main square. We spent a wonderful day with some of Big Man´s huge family, stopping first to pick up his aunt and uncle in a town called Salinas. It has an amazing sea front walk with an outdoor museum of anchors from all over the world. The walk ends with a spectacular view out to sea. One of the family has an Hórreo in their garden – these are ancient storage areas (now preserved and highly valued) made of stone or wood and on raised legs. Couldn´t resist taking some snaps, even though the lady of the house was embarrassed about her washing hanging up to dry underneath! So….still more to come from our last day in Asturias and our stop in Salamanca on the way home. Enough for today though, we´ve covered quite a few miles together already. 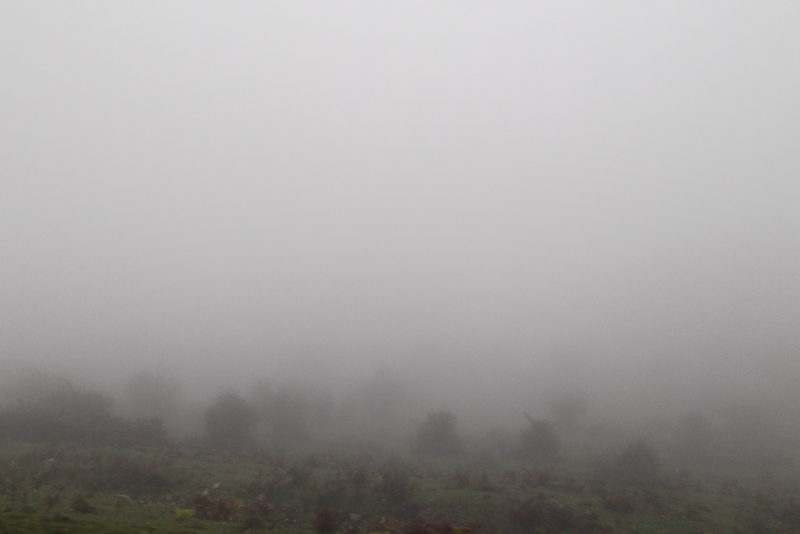 Pity about the mist, but when you could see the views look amazing. 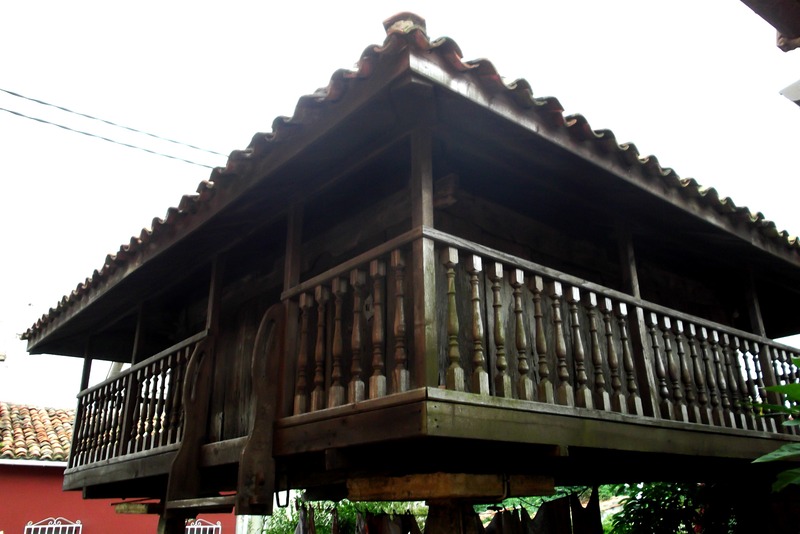 The Horreo is beautiful and looks like an useful structure for storage and washing lines. I’m looking forward to Salamanca too! We didn´t have great luck with the weather, but apart from stopping our walk, we didn´t let it stop us having fun! 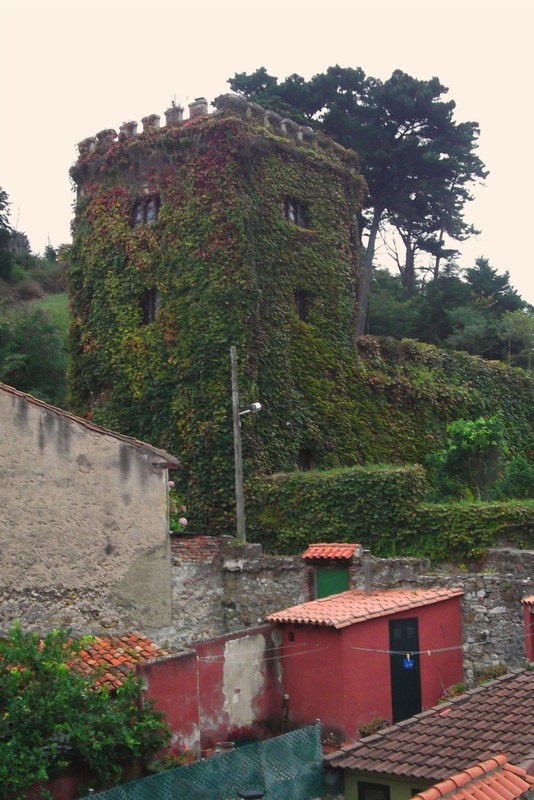 One of Big Man´s relations has completely rebuilt an Horreo in a house he is restoring – I´d love one! This area of Spain looks amazing! Love the colorful towns and beautiful houses! I know what you mean when you take so many pictures, you do not know which one to choose from…that’s a hard task!! What is fabulous about your journey is that you had mountains and seaside so close!! 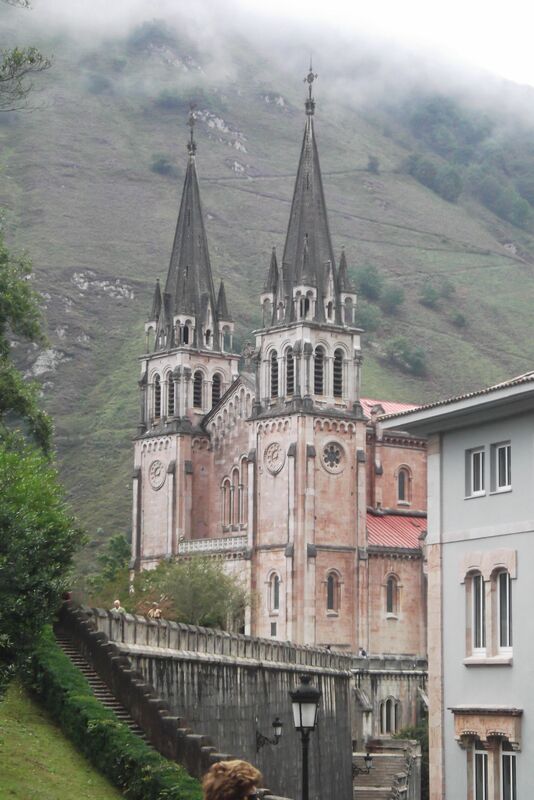 And the Bascilica of Covadonga picture is amazing with the low clouds…so fascinating!!! It was so very different fromn Andalucia – rather like the enormous differences between the north and south of Italy. Covadonga Basilicia was lovely inside – very peaceful. Gorgeous photos! Those views are unreal. Looks like you had a great time. Wish I could take a trip there right now. We were so lucky (despite the weather!) and it was such an incredible trip! Beautiful! Looks like a lovely trip, despite the fog and wind. I love the beautiful buildings! 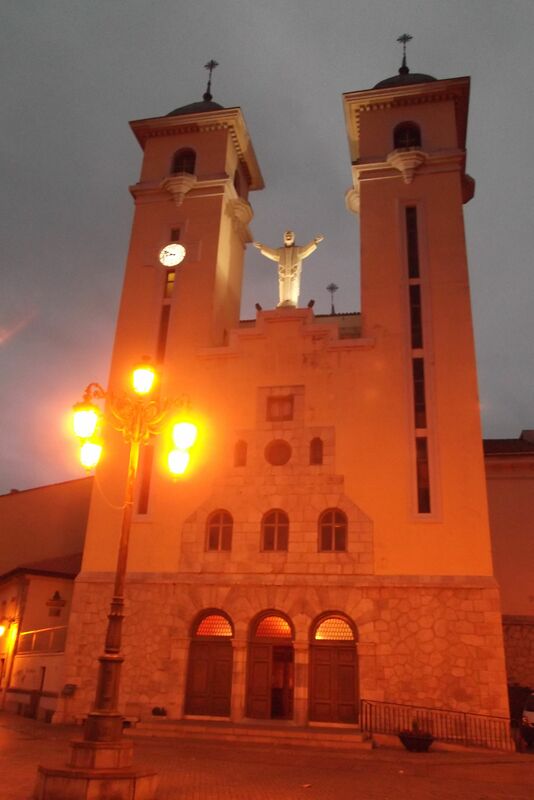 We didn´t let it get us down – and there were some amazing buildings to see! 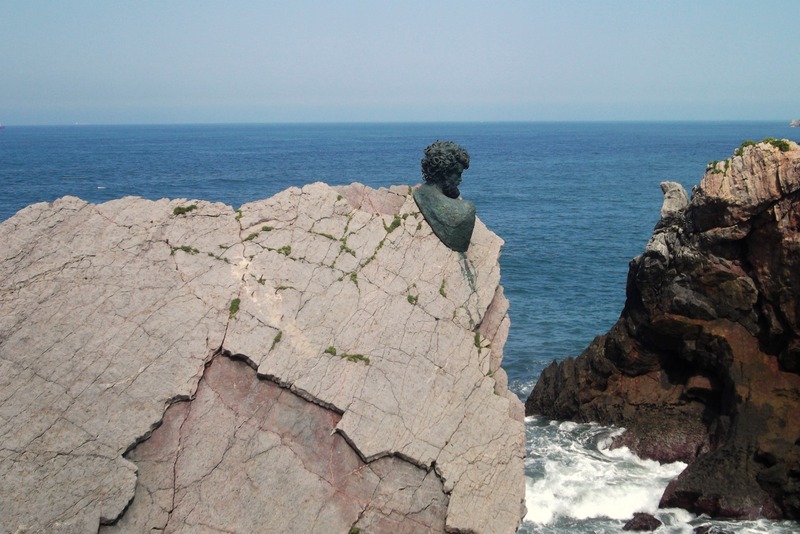 I love the bust on the rocks overlooking the ocean. What great photos and it looks like a spectacular time. Thanks Greg – I loved that too. There was a feel of “the end of the earth” to that spot! 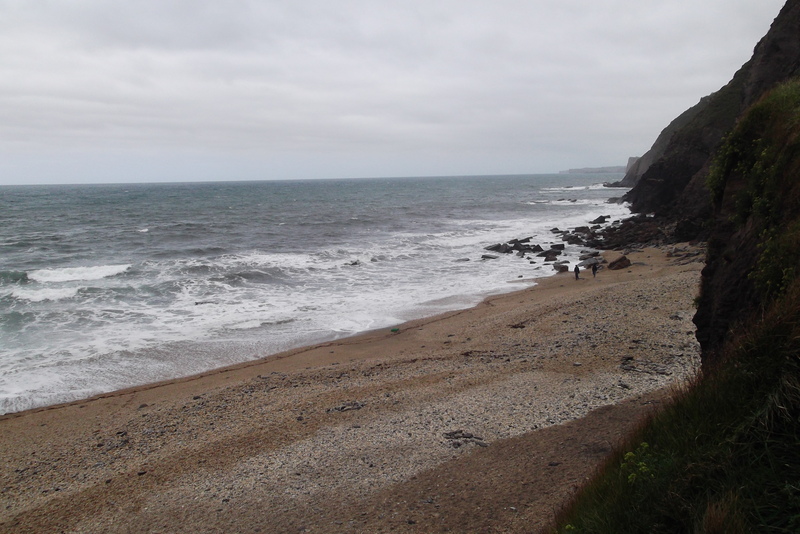 It was certainly atmospheric and as a Brit, I´m used to bad weather on holiday! Oh My, that little village with its water entrance, that was great and the fog coming down to the spires of the church.. wow.. Oh now I am feeling the envy again! In some ways the weather added atmosphere, and we were relaxed, on holiday, together and happy! Do you know anything about that bronze bust that looks like it’s growing out of the rock? The open air museum was designed by Phillipe Cousteau (son of Jacques) so not sure if it was a tribute to his father or perhaps Neptune, Ancient God of the Sea….looked more of a Neptune to me. Will try to find out! I agree, I didn´t zoom in enough as I wanted the “panorama”. I like cows too – we don´t have them down here in the south of Spain, so I felt like I was back in England seeing so many of them in the north! 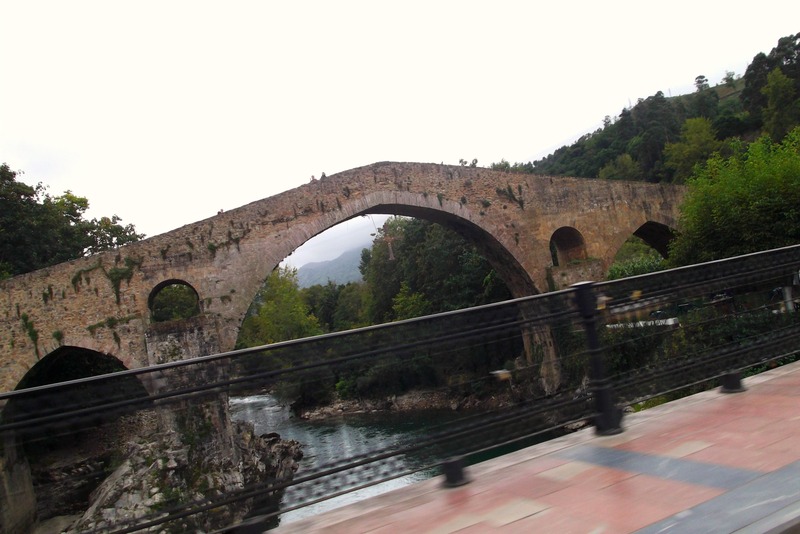 I love that Roman bridge! It looked even better when it wasn´t blurred! Gracias – I couldn´t decide what to put in and what to leave out, it was all so lovely! Wow, what beauty – if this is how magnificent it looks in the photographs, I can only imagine how picturesque every thing was for real! I had to wait a while too before I eventually got there….! This looks simply beautiful! Your comment about houses that appear to be atop each other and clinging to the cliffs reminds me of so many coastal villages along the Costa del Sol, the French Riviera, Amalfi, the Greek islands. The mistake many make is to assume that they are all alike. As you very well know, each village is unique and well worth taking the time to discover. Thank you, Tanya, for showing me a bit of Spain that I knew nothing about and for bringing to mind some wonderful memories. You´re right – I first thought “Amalfi” when Big Man told me about it – but although similar it´s different and has its own unique beauty. Glad you enjoyed the photos! Ooh, I absolutely cannot wait to visit Northern Spain! Your time will come! I had to wait AGES! I can’t believe how different the weather is up there! I definitely would love to go when it’s too hot here and breathe in all that fresh greenness! I’m loving October here in Andalucia at the moment though, it’s perfect we’re so lucky don’t you think? Autumn is wonderful here and it´s just lovely at the moment. You´re right, we are so lucky. It was quite nice to feel a bit “chilly” for a few days! sorry about the fog but it seems the rest of your day was amazing! It sort of added to the atmosphere, and you can see we didn´t let it stop us having fun (or food)!